Click here to help fund the Sound & Lights Campaign for the Quincy Jones Performance Center! 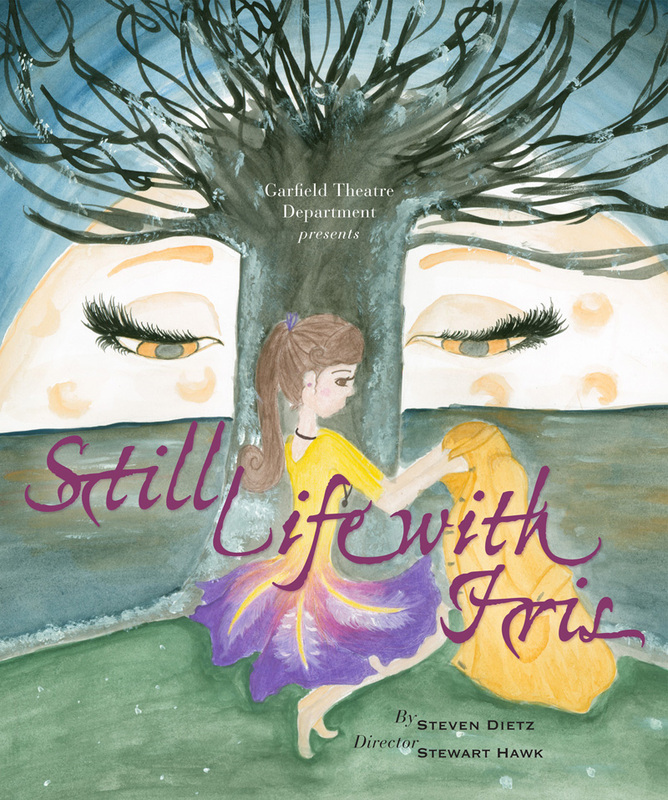 Children’s Show is a class offered to Garfield students with the focus for the class being the production of a one hour children’s play, which is presented for area elementary school classes. The students learn what it takes to produce a play, including auditioning for the role, the craft of acting, characterization, and working with the technical crew during final rehearsals and performance to present as professional a performance as possible for the visiting audience. The students work closely with the Technical Theatre class to facilitate the design and construction of sets, lights, costumes, props, publicity and public outreach. Winter 2016. The adventurous tale of the “boy who wouldn’t grow up,” the story of Peter Pan (Jamie Williams) begins in the Darling nursery, where Mr. & Mrs. Darling (Michael Greenstein and Amy Bogaard) have tucked their children (Emily Hardwick, Paul Lawrence, and August Keller) into bed. Peter Pan and Tinkerbell (Corinne Manley) fly in through the window and whisk the children out into the night. Off they go to the island of Neverland, where the children encounter the Lost Boys, the exotic princess Tiger Lily, and the dreadful Captain Hook (Quin Lagmay). The adventure comes to a climax when Captain Hook captures the Darling children and the Lost Boys, Tinkerbell is in trouble, and Peter Pan must face the evil pirate to save his friends. Winter 2015. Still Life with Iris is a fantastical adventure which centers on a little girl’s search for the simplest of things: home. Iris (Emma June Orth) lives with her mom (Emma Franklin) in the land of Nocturno—a magical place in which the workers make, by night, all of the things we see in the world by day. Also, in Nocturno, memories do not reside in people’s minds but instead are kept in their coats (called ‘Past Coats’). The rulers of Nocturno, the Great Goods (Jamie Williams & Nadia Gahagan Ellis), are determined to have the “best” of everything on their island—and therefore take Iris away from her home and bring her to Great Island to be their daughter. To ease the pain of this separation, they remove her Past Coat, leaving her with no memory of her home or her family. All that remains of Iris’ past is a single button from her coat. Using the button as a clue, Iris joins with friends she meets on her journey—Annabel Lee (a young woman from the sea, Grace Corsi) and Mozart (the composer, age 11, Griffin Scott-Rifer)—and frees herself from the Great Goods. She returns to Nocturno, having found her past, and her home. Produced Winter 2014. 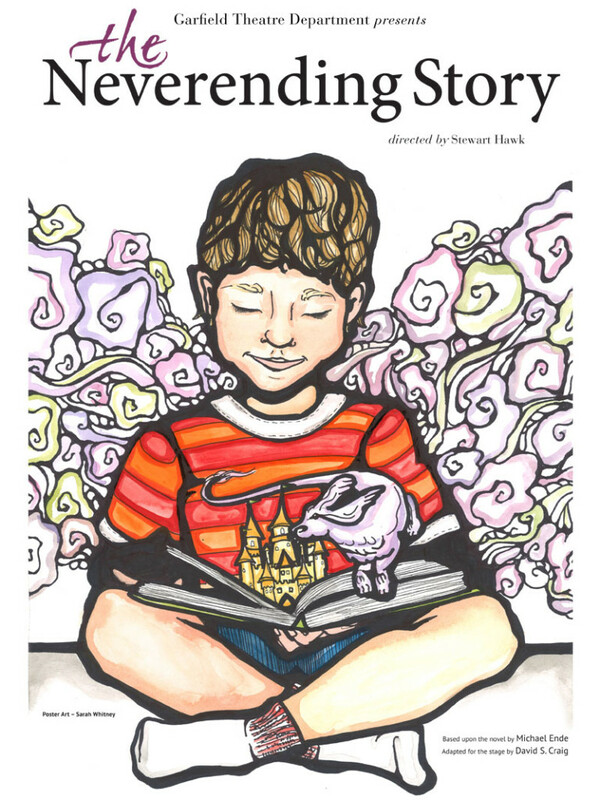 Join us on a trip into the world of Bastian Balthazar Bux (Colin Bronsdon), a lonely young boy bullied at school, who steals a book from the mysterious owner (Katya Downey) of an antique bookstore and hides away in his school attic to read it. Bastian is slowly drawn into the story of the hero Atreyu (Fate Syewoangnuan) who is tasked with saving the Childlike Empress (Carolyne Sandoval) of Fantastica. Along the way, he is helped by various creatures such as Morla the Aged One (Emma Franklin), Falkor the Luck Dragon (Anika Grevstad), and the gnomes Urgl (Augie Vanden Brulle) and Engywook (Emma-June Orth). These action-packed performances for elementary classes January 14-18, 2013 had plenty of lively, nautical fun! All shows were sold out. Produced Winter 2013. Jim Hawkins (Jacob Caspe) becomes a cabin boy on the Hispaniola, a ship bound for Treasure Island, with the purpose of finding buried treasure! Jim opens Billy Bones’ (Hallie Huffaker) sea chest and discovers a treasure map that marks the spot where a notorious pirate, Captain Flint (Cara McCoy), has buried his loot. He meets many colourful characters on his journey, including Long John Silver (Joey McManus), the one legged ship’s cook. 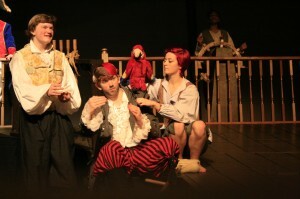 Although Long John Silver befriends him, Jim isn’t sure whether he is trustworthy. Despite the many challenges that he faces, Jim shows courage and determination in the face of danger. Bravely, he helps Lady Trelawney (Laura Bogaard) win through, and – with the help of island eccentric Benn Gunn (Augie Vanden Brulle) – they defeat the pirates, find Flint’s treasure, and sail home triumphant.